Graduating high school and moving on to further education or the workplace brings with it a whole new set of challenges, and this is especially true for students with disabilities. This useful book provides a complete overview of the issues such students and their families will need to consider, and outlines the key skills they will need in order to succeed once they get there. The authors describe the legal landscape as it applies to students with disabilities in the USA, and how to obtain the proper disability documentation to ensure that the student receives the right support and accommodations in college. Focussing specifically on the issues that affect students with disabilities, they offer advice on everything from dealing with college entrance exams and the college application process, to selecting the right college, visiting the campus, and achieving medical and financial independence away from home. A list of further resources guides students and their families towards additional sources of information and support, and stories of students with disabilities who have made the transition from high school to further education or the workplace are included throughout. 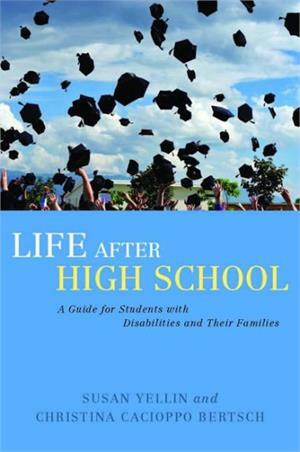 This accessible and thoroughly readable book offers help and support to students with disabilities of all kinds, and their families, both before and during the transition to life after high school.